As 2017 comes to a close, I found many wines, which made a lasting impression and I consider genuinely stellar wines in quality. Here are the exceptional wines and wineries I discovered that merit a standing on this wine list. Furthermore, the wines chosen are only those that I wrote about during this past year and also wowed me throughout 2017. Please note other than the categories; there is no particular order to the listing of these wines. They are all stellar wines in their own right. 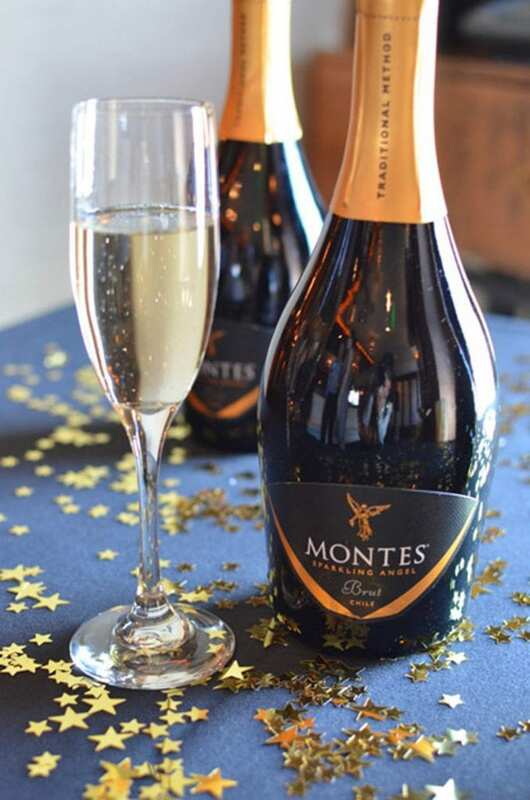 Montes Sparkling Angel, a blend of Pinot Noir and Chardonnay makes the perfect aperitif with it soft, well-balanced citrusy demeanor. 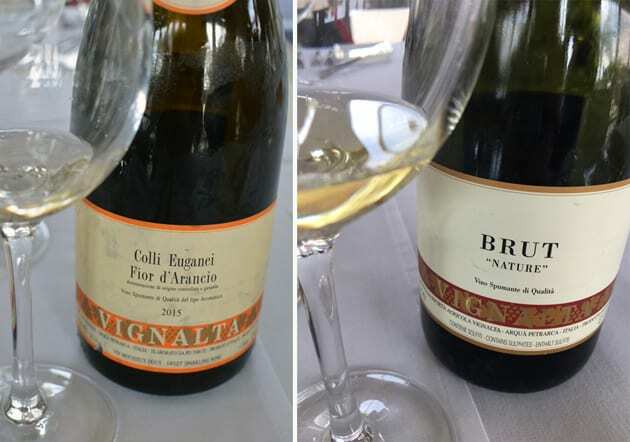 Vignalta’s non-vintage Brut called “Nature,” a bone-dry Brut is created in the Methode Champenoise style and produced with an indigenous red grape known as Friularo, also called Raboso. This sparkling wine is fragrant with beautiful florals and is very fresh on the palate. 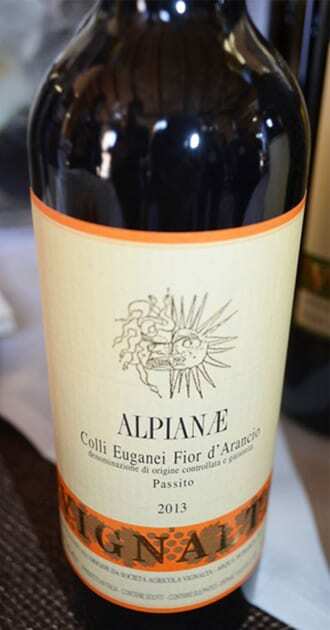 Vignalta Colli Euganei Fior d’Arancio Sparkling Orange Muscat 2015, a sweeter wine that to me represents spring and summer and also perfect for a wedding. Fior d’Arancio means orange flowers and the wine exudes aromas of orange blossoms and flavors of citrus, especially oranges. Montalbera Cuvee Blanche, an extra dry sparkling wine created from the Barbera grape. This impressive sparkling wine I consider bright and refreshing on the mouth yet fruity and dry. 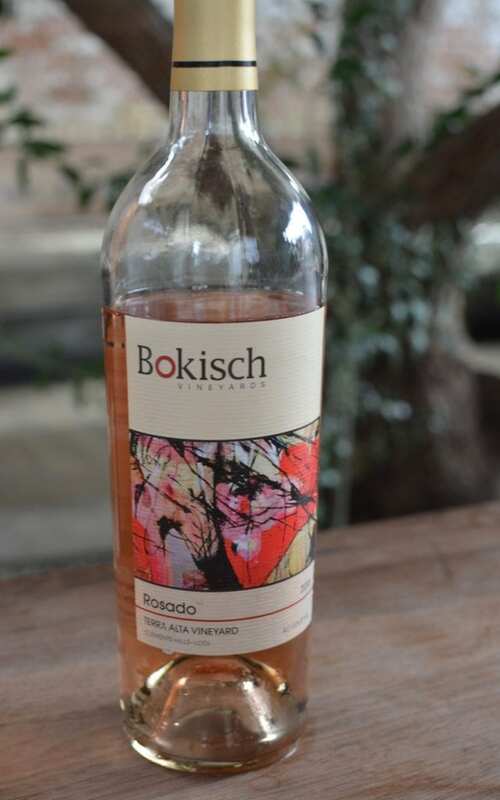 Bokisch Vineyards 2016 Rosado Terra Alta Vineyard: Made from Grenache, this Rosé is bright with nice acidity. The wine is refreshingly strawberry in flavors. Ramato often is called the Rosé of Pinot Grigio. Valter Scarbolo 2014 Friuli Grave Pinot Grigio Ramato has complexity and a viscosity because the wine sees some oak. 2016 Hacienda de Arínzano Rosé of Tempranillo, a very vibrant, complex and textured wine with a deep ruby color. The wine emits flavors of strawberry and watermelon with a nice spicy zing on the finish. The minerality and acidity are perfectly balanced. Rutini Trumpeter 2015 Rosé of Malbec: A pale apricot or salmon color wine that is produced in the Tupungato area if Mendoza. The wine has aromas of Gardenia and rose. Those beautiful aromatic perfumes give a feeling of the wine being very tropical. A refreshing and bright wine with flavors of Raspberry as well as some tropical notes. As the wine sits, citrus flavors develop. Clos Pegase 2016 Rosé Napa Valley: Topping my list of the most unusual Rosés, I would call this Rosé one where the winemaker, Robin Akhurst, thought outside the box. Creative in its delivery, the wine combines Zinfandel primarily with Malbec, Cabernet Sauvignon, Petit Verdot, Pinot Noir, Merlot, Cabernet Franc and Petite Sirah. The wine is complex compared to most Rosé wine. I found wonderful perfumes and floral aromas of roses and cherries. The wine is vibrant with flavors of raspberries and strawberries and uniquely different than most Rosés. Theopolis Vineyards Rosé of Petit Sirah 2014: Unique because of the variety chosen, this Rosé displays a gorgeous ruby color. You almost think you are drinking a very light red wine, but the refreshing, crisp textures of Rosé come through. One finds aromas of cinnamon and roses with flavors of cranberry, peach, nectarine, and apple. Loveblock 2014 Pinot Gris has more body and texture than most wines of this variety. Owner, Erica Crawford says the organic farming causes the texture and depth of this wine and because the wine sits in old barrels for about two weeks. There is a creamy quality to the wine. One finds melon aromas and flavors of Asian pear. 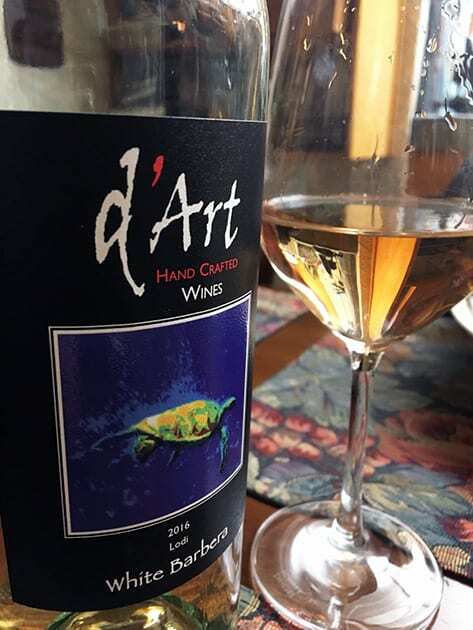 A favorite white from Lodi was the 2015 White Barbera from d’Art Wines with its very refreshing floral and stone fruit notes. Hacienda de Arínzano 2014 Chardonnay can be described as a new world style with the flavor profile of the old world. This Chardonnay is elegant revealing flavors of lemon curd, pineapple, apple and a hint of honey. The Chardonnay’s viscosity is marvelous. There are hints of spice on the finish. 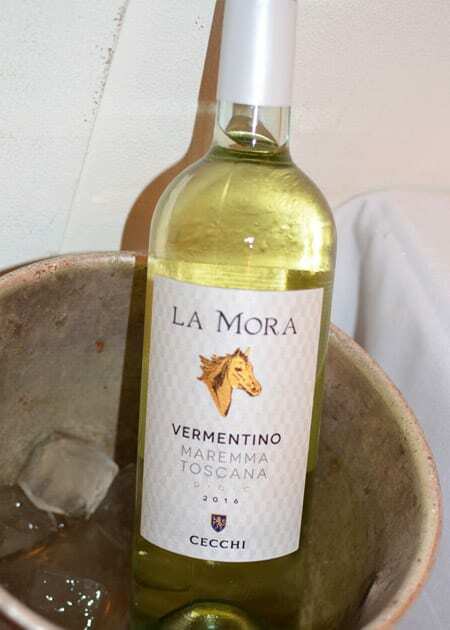 Cecchi La Mora Vermentino 2014, a crisp and fresh with nice minerality and florals and an excellent example of the Vermentino produced in the Maremma. 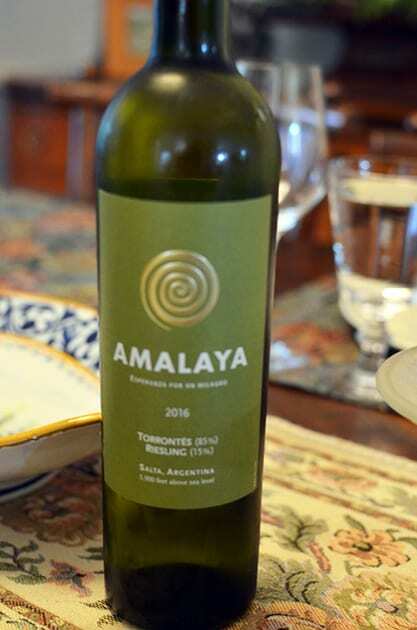 Amalaya Blanco Esperanza Por un Milagro 2016: A unique wine because this Argentinean winery combines Torrontés with Riesling. The Riesling adds a nice dimension, giving the wine a sweeter quality. The aromas are white flowers and citrus while the flavors of the tropics came through especially pineapple. There is also citrus, and the Riesling brings forth spice on the finish. Colomé 2016 Torrontés – The wine is refreshing and bright. Aromas of white flowers especially orange blossoms permeate the wine. On the palate, one finds a delicate sweetness of citrus, tropical fruit in addition to some stone fruit. There is a Riesling quality to the wine. Palacios Remondo PLÁCET 2013 stands out as an outstanding representation of a Viura from the Rioja Baja region of Spain. The wine ages in stainless steel although it seems aging might include some neutral oak. One finds viscosity and balance in this vibrant wine exhibiting flavors of peach and other stone fruit. 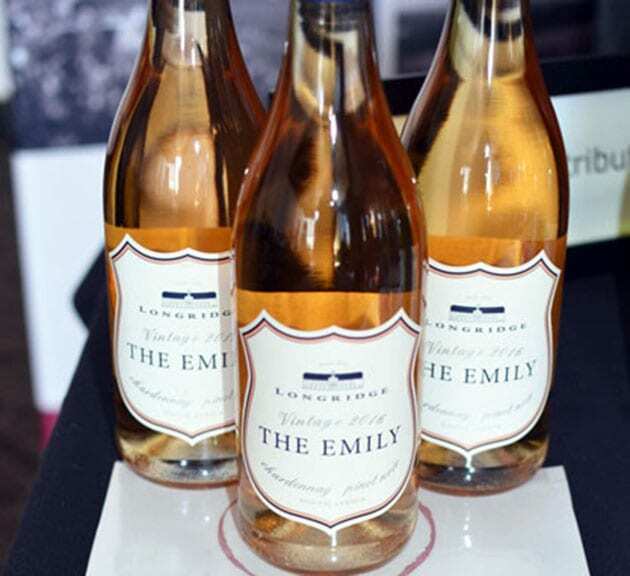 Longridge The Emily Chardonnay – Pinot Noir, Stellenbosch. Copper in color, the wine blends mostly Chardonnay with a bit of barrel fermented Pinot Noir. The small percentage of Pinot makes the wine very subtle, unique and different with an added freshness. Markus Wines 2016 Insieme. The wine consists of primarily Torrontes with a tiny percentage of Traminette, a hybrid grape grown in North Carolina. Although there is only 5% Traminette, the intensity of this grape shines through. At first, there appears a semi-sweet quality to the wine. This sweetness comes from the Traminette but once paired with food the dryer Torrontes comes into play giving the wine a sweet and savory balance. Think White Riesling and Gewürztraminer. Aromas of citrus and white flower dominate. The wine exhibits flavors of citrus and ginger. Theopolis Vineyards 2015 Symphony, think Riesling meets Gewurtztraminer, and you have Symphony. The Symphony grape is a crossing between Muscat of Alexandria and Grenache Gris. On the nose, one discovers aromas of peaches, tropical fruit, and white flower and finds similar flavors on the palate but with added spice on the finish. Any wine from Château Angélus is fabulous, but the 2010 L’Opulent is by far my favorite. The wine’s elegant structure and opulent richness shines through. The wine is very classical in its style and appears to be more fruit forward. The wine blends 55% Merlot with 45% Cabernet Franc. 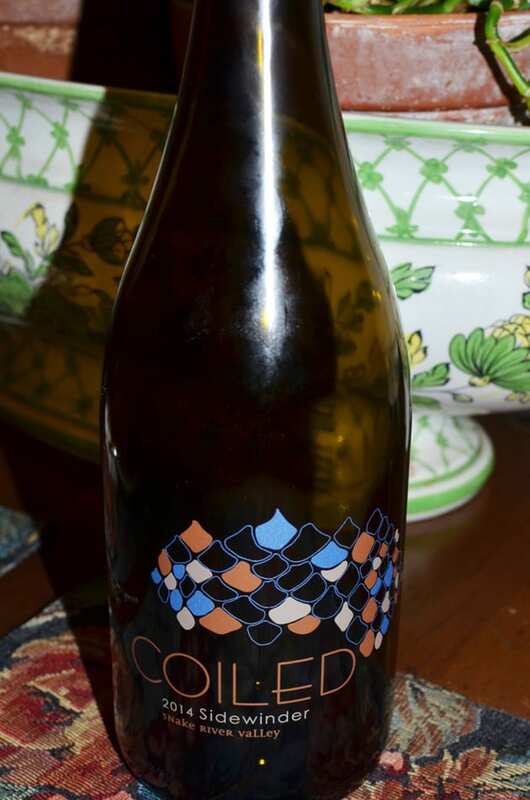 2014 Coiled Wines Sidewinder connected all the dots of the Coiled branding and reference to the wonderful but relatively unknown Snake River Valley AVA. Sidewinder represents the meandering Snake River as it flows through Idaho’s Snake River Valley. The wine blending Syrah, Petit Verdot and Petite Sirah is rich and silky. A balanced and smooth wine, which is fruit forward offering flavors of boysenberry and blueberry with hints of white pepper on the finish. 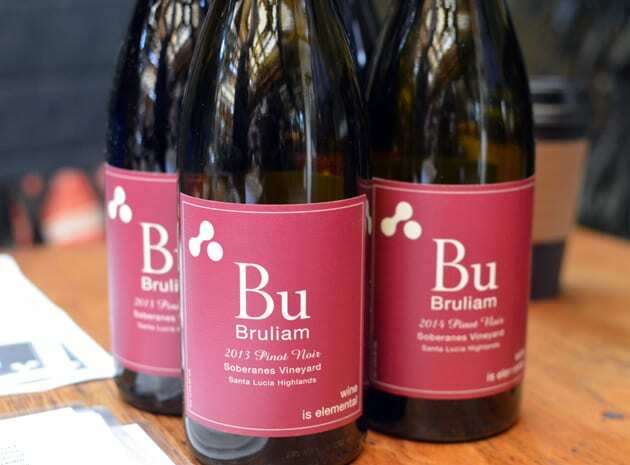 Bruliam 2013 and 2014 Pinot Noir, Soberanes Vineyard displays a femininity that shows through in the smooth silkiness of the wine. Both Pinots were well integrated and balanced. 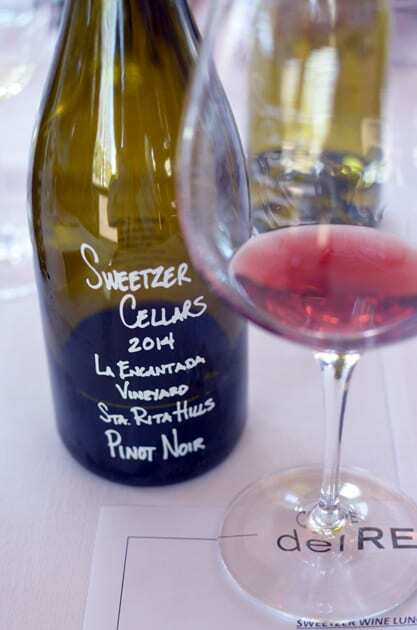 Sweetzer Cellars 2013 Pinot Noir, La Fond Vineyard, Sta. Rita Hills, the 2014 Pinot Noir, La Encantada, Sta. Rita Hills and the 2014 Pinot Noir, Santa Barbara County. Cantara Cellars 2010 Amador Tempranillo ages for three years. With the grapes coming from the Sierra Foothills, this is a lighter Tempranillo yet it comes across as a full-bodied wine. The 2013 Silverado Vineyards Geo combines Cabernet Sauvignon primarily with a small percentage of Petit Verdot. The wine is aged 17 months in 38% new oak with 75% being French and 25% American. With its rich, bright fruit flavors and underlining hints of white pepper, this wine is quite impressive. Roccafiore Prova D’Autore, a blend Sagrantino, Montepulciano, and Sangiovese is by far my favorite from this winery. The wine is unique because a portion of the grapes are dried, so there is little sugar; giving the wine a bit of an Amarone character and making it superbly elegant. 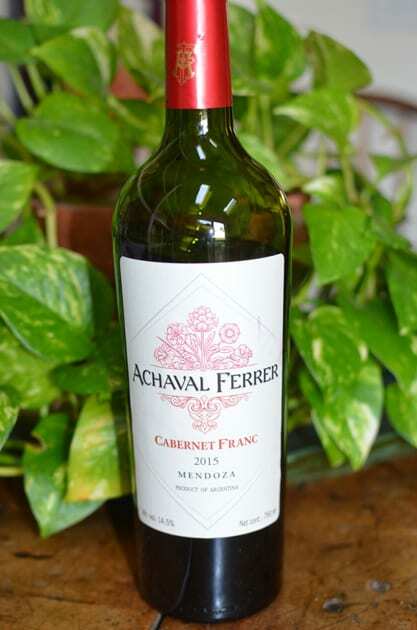 Achaval-Ferrer 2015 Cabernet Franc is very drinkable and approachable. The wine is bright and rich with silky tannins and flavors of dark fruit including plum and stewed fruit. Find hints of pepper on the finish. This Cabernet Franc also has some notes of baking spices and vanilla as well as mocha and tobacco. Cecchi 2011 Coevo, an IGT wine blending Sangiovese, Cabernet Sauvignon, Merlot and Petit Verdot. This Italian Bordeaux like wine exudes flavors of tobacco, spices, and cherry. The wine tells Cecchi’s love story between two different regions, Chianti and Maremma. 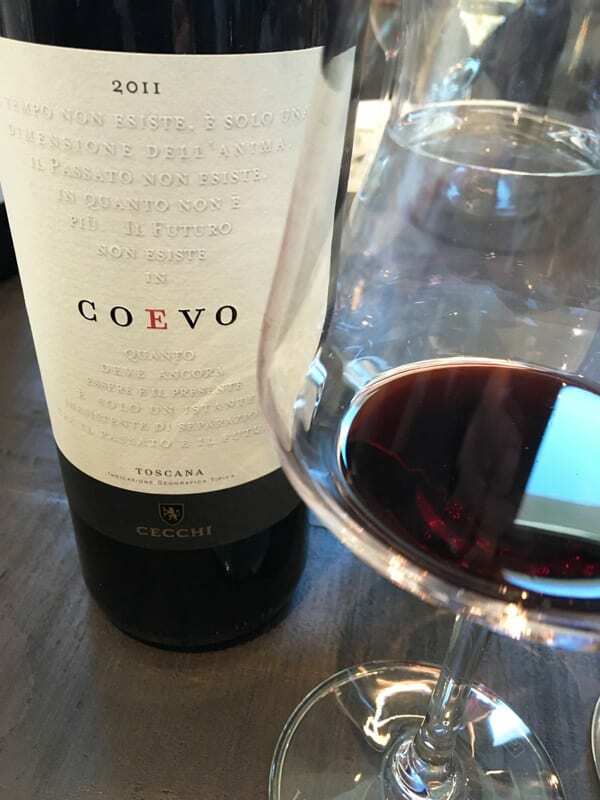 Coevo means contemporary and represents the innovation and modern take Cecchi explores with some of their wines, while still maintaining their old world traditions. 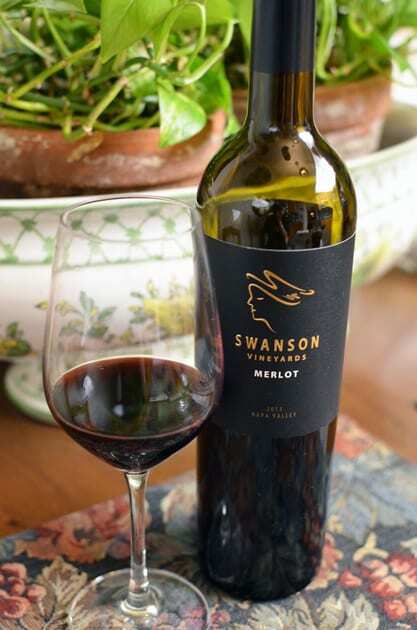 Swanson Vineyards 2013 Merlot Napa Valley – On the nose one finds ripe aromas of mocha tobacco and cardamom. A fruit forward wine with its rich and velvety textures displays ripe fruits of cherry and plum. Colomé 2014 Malbec – Everything about this Malbec impressed me. The grapes come from 4 different vineyards. While this wine is smooth and balanced with flavors of blackberries and dark fruit, the wine’s richness finishes with pepper and hints of tobacco. Ornellaia 2014 Bolgheri Superiore, an Italian Bordeaux blend composed of Cabernet Sauvignon, Merlot, Cabernet Franc and Petit Verdot. Bolgheri is ideally situated to grow the Bordeaux Varietals. I found the wine bright with soft silky textures on the palate making this a smooth and balance yet very drinkable wine. Montalbera La Tradizione 2015 Ruché Di Castagnole Monferrato DOCG: La Tradizione means the traditional and describes the style of this Ruché. This wine ages in stainless steel; exhibits floral aromas and flavors of dried fruit, almonds and honey. One of my favorites at this wine tasting, I understand entirely why Montalbera produces Ruché as their flagship wine. The wine transitions to a summer wine easily and pairs well with barbecues or served slightly chilled. 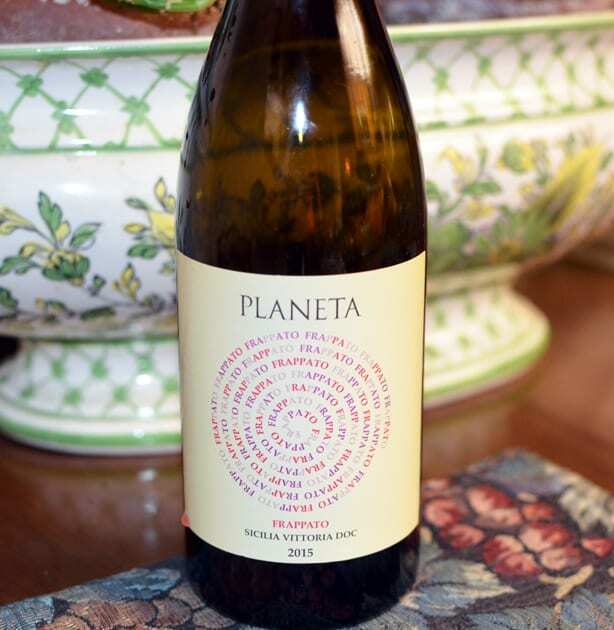 Planeta Frappato 2015 – At first the wine seemed tart but the wine developed as it sat in the glass. The nose displayed red fruit while the flavors featured pomegranate, cranberry, and other red fruit. The wine can be served either at room temperature or slightly chilled. This versatility and its light-bodied makes Frappato the perfect summer red wine. La Rioja Alta 2008 Viña Ardanza, which represents the 75th-anniversary wine was exceptionally together and bright. 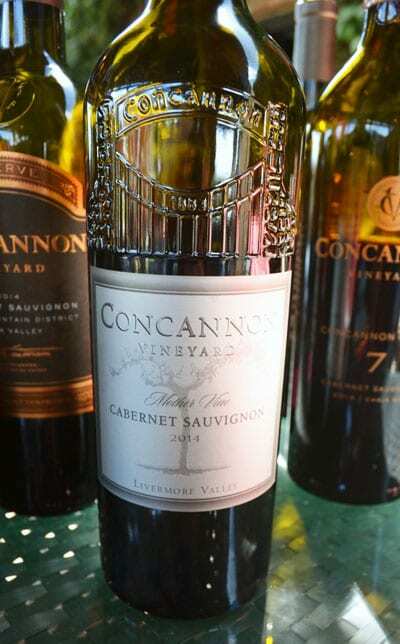 Concannon 2014 Mother Vine: This Cabernet Sauvignon shows the exceptional quality of the mother vine through its balance and complexity. An approachable and very together wine delivers flavors of berries, plums, and cherry. 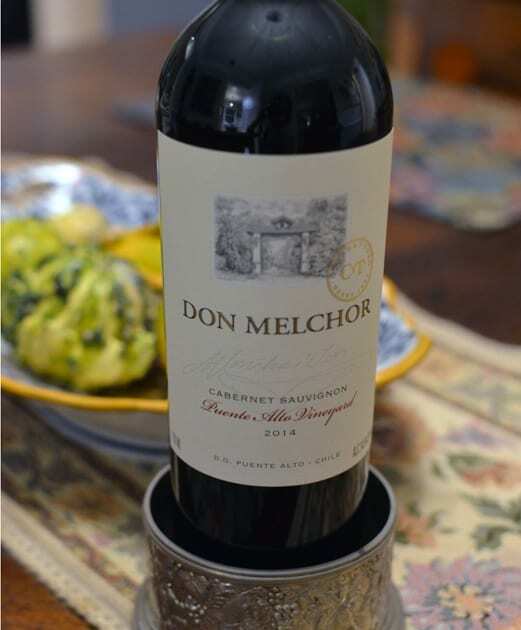 Don Melchor Cabernet Sauvignon 2014 – This complex wine speaks for itself with earthy aromas of dark fruit, currants, black cherry, and tobacco. The flavors are cherry, blackberry, mocha with some pepper and spice on the finish. One finds the Cabernet bright, smoothly balanced and well integrated. Although earthy, the wine summons a rich and velvety texture. 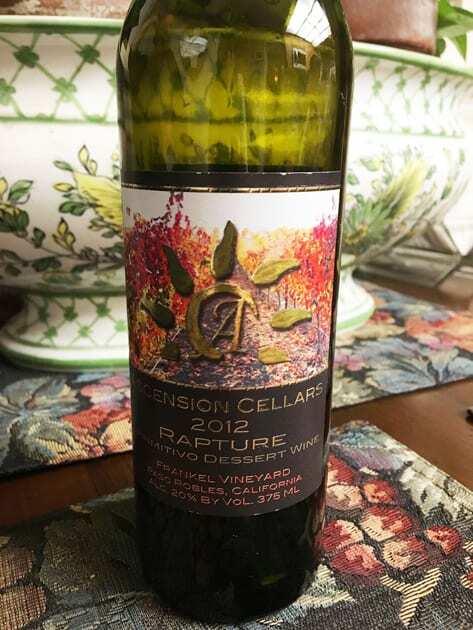 Ascension Cellars Rapture is a red dessert wine made of Primitivo. This luscious almost port-like wine blends of mostly Primitivo with a small amount of Cabernet Sauvignon. The wine exhibits a lightness that does not overwhelm with an almost sweet and savory quality, which come from the dark fruits and hints of baking spices. This year I am going to add to this list, my favorite winemakers. I will begin with a woman, Leslie Preston, Coiled Wines, who I think has made an impact on the wine industry, and to the region she represents, the Snake River Valley AVA. During my visit to Lodi, I met winemaker, Markus Niggli, who represents the new generation of winemakers in Lodi. 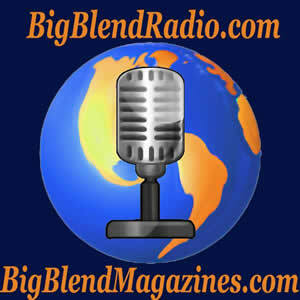 Not only does he utilize less common varieties but also he creates blends that set him apart from others. 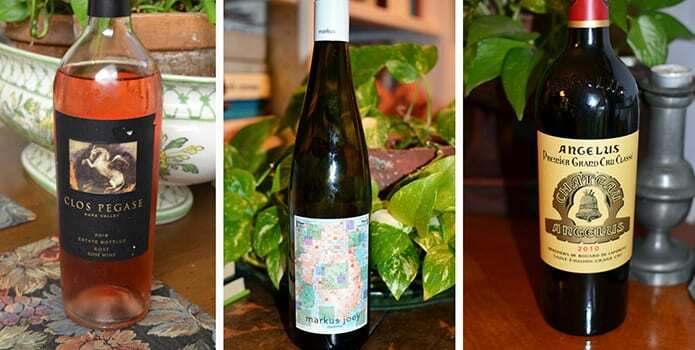 The wines of Markus Wine Co. are both unique and unusual. Markus also plays a prominent role in elevating the caliber of wines coming from Lodi. Finally, I am looking forward to exploring new stellar wines, wineries and visiting new places in 2018. Discovering the unique gems of the wine industry is an exhilarating and challenging way to start off the year.